Well who would have believed it! We’ve reached number 40. Do make sure you have visited the entries on Week#39 as we had some new writers join us! The prompt for this week was easy for me to think of. It is ‘RUBY’ in celebration of our 40th week. You can do whatever you like as far as genre is concerned. The only rules are that it is only 100 words long and is suitable for a PG certificate. Please make sure you link to this post somewhere so that folks can read the other great entries. Click here to enter your link. It will take you to another page but I will link it back here asap! 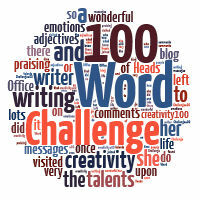 Pingback: 100-Word Challenge: Precious Promises | Even More BonusParts! Tough one, I thought. Maybe because it’s just a single word…? Still, I’m loving the variety of approaches that people are taking. All done, thanks for another lovely prompt Julia! I’ve done my post, I’m having trouble remembering how to link….I’ll step away from the Mac and return when I have stopped crying. Ha ha. I think something is wrong with the linky ……..
you are quite correct! Grrr! I’m trying to find out what I can do! The linky will be open in -3750 seconds? Is that right? It’s now -5000 seconds, I think something may be wrong. You’re right! Trying to find out what. Will be back! I didn’t realize there was a difference in the opening time of the Link list today. I’ll be asleep then, but I’ll try to come back tomorrow and link what I posted today. This prompt really drew my interest. Thanks. It was set for the normal time but there is a problem. I’m looking into it!